Is universal testing a solution? My one-year-old recently underwent lab work, ordered by his pediatrician at the 12-month check-up. It was tough for both of us. Killian was crying and screaming as the nurse took two vials of blood. I cuddled and kissed him, trying to comfort his pain and displeasure. I was near tears myself. Shortly after, Killian was perfectly fine but I was still a little shaken. It is so hard to see your child upset. Even though we both hated the test, I would have volunteered him for the blood draw because it addresses a large, insidious problem among children in America: lead poisoning. The side effects of lead exposure are irreversible and heartbreaking. Lead is a common metal found in the earth but it is also a neurotoxin that can cause developmental delays, learning disabilities, anemia, hypertension, decreased hearing, asthma. It can affect the brain, reproductive organs, nervous system and kidneys. About one in five diagnosed cases of Attention Deficit Hyperactivity Disorder is attributed to lead exposure. Very high levels of lead in the body can be fatal. More than half a million preschool children in the United States have elevated lead levels which require medical intervention. According to the Pennsylvania Department of Health, “Lead is particularly dangerous to children because their growing bodies absorb more lead than adults do, and their brains and nervous systems are more sensitive to the damaging effects of lead.” The American Academy of Pediatrics says there is no known level of lead that is thought to be safe. Even small amounts can have devastating consequences. Lead poisoning is such a widespread problem among children in the United States that some areas mandate testing. New Jersey and Delaware are two of 11 states plus Washington, D.C. that require blood-lead level testing for those less than two years old. Some states that do not mandate testing, like Pennsylvania, are considering it. Governor Tom Wolfe has called for universal blood-lead testing for kids under two, saying last summer, “We need to be able to identify all children who have elevated blood-lead levels in order make sure their families have access to the services they need.” Universal testing is the best way to not only distinguish children who have been exposed to lead but also to determine where and why certain areas and populations have a higher risk so the causes can be corrected. For those in Flint, lead poisoning happened by ingesting toxic tap water. Water can be contaminated by older plumbing parts that contain lead. Formula-fed infants are at a particularly high risk for lead exposure through water because the amount they consume relative to their small bodies. Boiling lead-contaminated water does not remove the toxins; it can actually increase them because of evaporation. Lead is odorless and tasteless in water. Many people have no idea that their water is toxic until symptoms of poisoning begin to appear. There are many other ways to be exposed to lead. 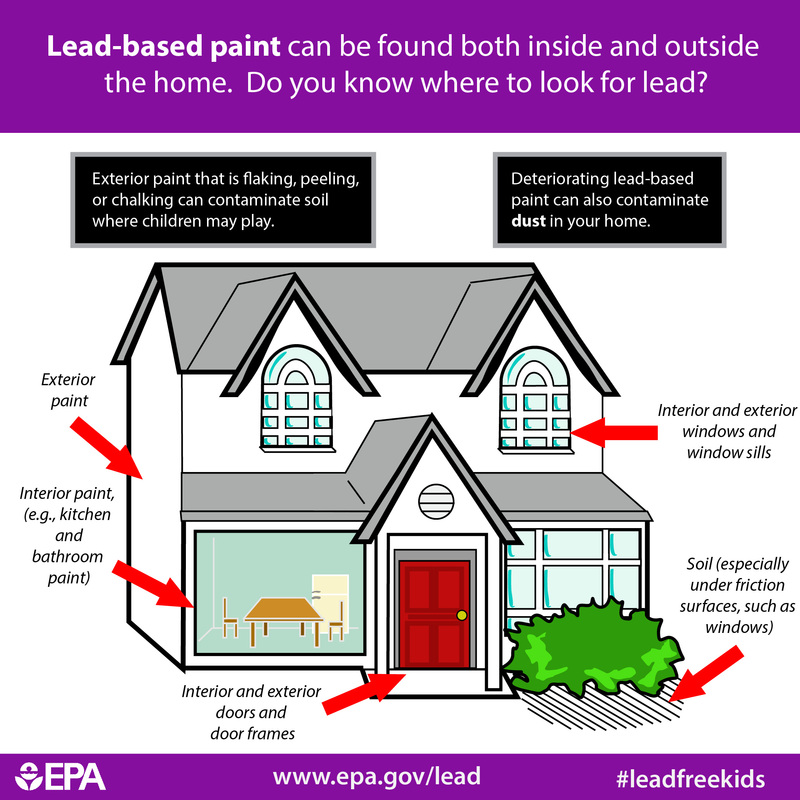 It is estimated that 37 million housing units in the United States contain lead-based paint. Pennsylvania is third in the nation for homes built before 1950, when lead was commonly used in paint and plumbing, meaning the possibility for exposure can be pretty high in the Commonwealth. According to the Environmental Protection Agency, other known sources of lead poisoning are lead-contaminated soil and airborne lead from sources like ore mines. 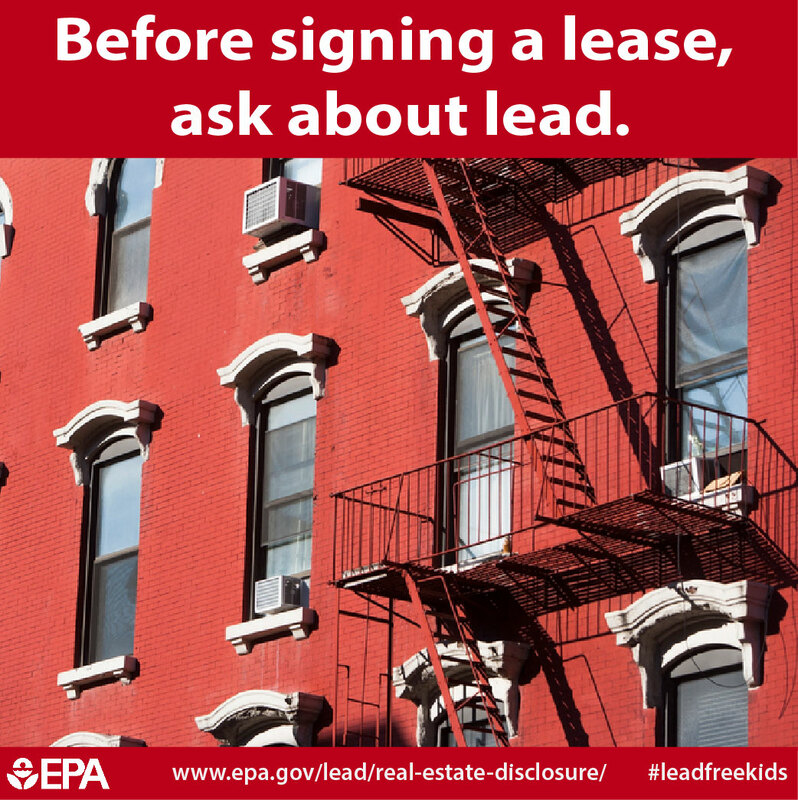 Some professions, like battery manufacturing, automotive repair and construction, have a higher risk for lead exposure. Even though federal legislation has prohibited lead in things like paint and gas, thus reducing the rate of poisoning, this is still a big problem in American. The best way to protect yourself and your children is through prevention. So what can you do to keep your family safe? Was your home built before 1978 when lead was regularly used in paint? If you reside in a rental, did your landlord give you pamphlets about potential lead paint exposure? If you are unsure if your home poses a risk and want to have it tested, talk to your state and local health departments. If you are concerned that areas of your home may have lead paint or lead paint dust, do not let your children near or in those areas and be sure to hire a Lead-Safe Certified company to handle removal and renovations. Do you know if your home has lead pipes or have you seen signs of decay in your pipes like rust colored water or stained dishes or laundry? Private contractors can be hired to test your home’s well water. If your water is provided by a public authority, you can request or find online a copy of a recent water quality test report. Some towns provide inspectors to test a home’s water if the resident is concerned. Philadelphians can call the Bureau of Laboratory Services at (215) 685-6300 to schedule a home test. According to the Mayo Clinic, the signs of lead poisoning become apparent after prolonged exposure. Here are the symptoms to watch for in your children: developmental delay, learning difficulties, irritability, loss of appetite, weight loss, sluggishness and fatigue, abdominal pain, vomiting, constipation, hearing loss, seizures, and eating things that aren’t food. Even though lead poisoning primarily affects children, adults are not immune and pregnant women are especially at risk. Signs of lead exposure and poisoning in adults include high blood pressure, joint and muscle pain, difficulties with memory or concentration, headache, abdominal pain, mood disorders, reduced sperm count and abnormal sperm and miscarriage, stillbirth or premature birth in pregnant women. Washing your children’s hands and toys regularly is recommended to reduce lead exposure as is general cleanliness in your home. Floors and flat surfaces should be regularly wiped down with a wet cloth since household dust is a major source of lead poisoning. Make sure your children are eating a healthy diet with enough calcium, vitamin C and iron to help keep lead from being absorbed. The AAP offers several great tips for reducing the possibility of lead exposure through water like using a water filter and never using hot tap water for drinking or cooking. Take off your shoes when you enter your home and ask your guests to do so. This will help prevent lead-contaminated soil from getting into your house. Do not let your children play in bare soil; plant grass, lay mulch or install a sandbox to provide a barrier between them and potentially-contaminated dirt. Our children’s physicians are always our best resource for information and guidance. (It was a pediatrician in Flint who presented evidence of lead exposure in her young patients when leaders were still saying there was not a problem with the water!) Talk to your doctor about your family’s risk of lead exposure. Whether or not mandated by the state in which you live, you can always ask your pediatrician about testing your little one. With lead poisoning so prevalent in our country, the risks are just too great to not check your child. Since I am a resident of New Jersey, my pediatrician prompted the test for my son. Without our doctor’s referral it would not even have crossed my mind that my baby boy should be screened for lead exposure. I am so relieved that Killian’s test came back normal but I am still going to be conscious of lead poisoning and do whatever it takes to ensure he is never exposed. If you are a resident of Pennsylvania, call the Department of Health’s Lead Hazard Control Program at 1-800-440-LEAD (5323) for information and referrals. If you are a New Jersey resident, free lead testing is available for your children at your local health department. Share your experience in the comments, below and Tweet me at @ThePhillyVoice and @KathleenEGagnon.